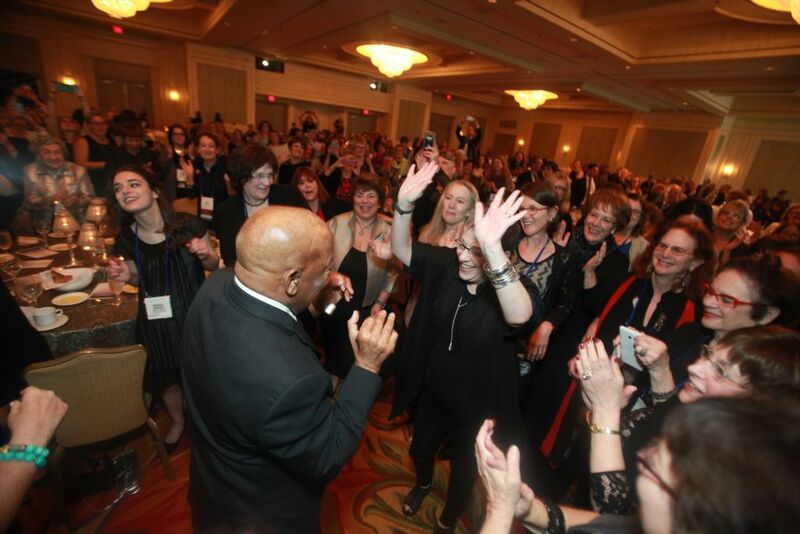 Rep. John Lewis and National Council of Jewish Women members dance to Pharrell Williams’ “Happy” at the JW Marriott in Buckhead on March 25. 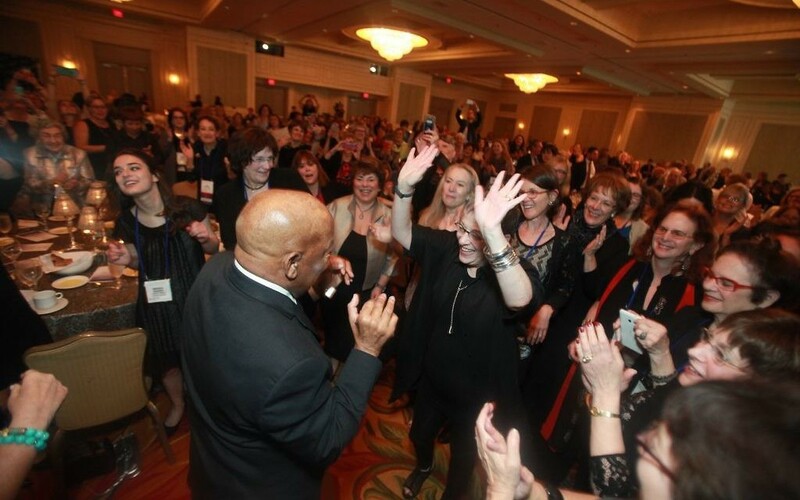 Congressman John Lewis received the National Council for Jewish Women’s Faith and Humanity Award at the Leadership Gala closing out the 47th NCJW National Convention in Buckhead on March 25. A documentarian was on site that evening while shooting a piece about the intersection of the black and Jewish communities. With a theme of speaking truth to power, close friend Sherry Frank introduced the congressman. The executive director of American Jewish Committee in Atlanta for 25 years, Frank now conducts the monthly “Frankly Speaking” sessions for NCJW’s Atlanta Section. Frank told of Lewis’ first run for Congress against Julian Bond, another civil rights leader, in 1985. The sons of Frank and Lewis distributed materials and put up yard signs together. Frank said the people of Atlanta decided not only then, but again for 15 elections and 30 more years, to choose Lewis to represent them in Washington. She noted that in 1982 he was the founding co-chair of the Atlanta Black-Jewish Coalition, which continues to do important social justice work. Outgoing NCJW President Debbie Hoffmann and CEO Nancy Kaufman told Lewis they were thrilled to present their most prestigious award to him in honor of his courage and perseverance in speaking out for the rights of all Americans. Lewis electrified the receptive crowd with his prosaic delivery and his gravitas. To rousing applause, he thanked NCJW for the honor of the Faith and Humanity Award, “Sister Sherry” for her kind introduction, and the assembly for all that they do. Lewis told of growing up in rural Alabama in the 1940s and ’50s and seeing signs segregating white and colored people. Asking his parents and grandparents why, he was told that’s the way it is, and don’t get in the way — don’t get in trouble. He implored the women of NCJW to be brave, bold and courageous. “You, the women, must lead” and must encourage other women to run for elected office, he said. With an overwhelmingly female crowd, that statement brought down the house.